Congratulations to the following OCENS customers for their great finishes in 2018 Newport to Bermuda race! OCENS is pleased to work with Bermuda race participants. Our weather services and software have proven time and time again to be best way to access weather while at sea. We can assist you with all of your satellite communications as well as provide email and weather solutions to help you get the most from your satellite equipment and service. OCENS makes renting a satellite phone for the Bermuda race easy. We can provide you with an Iridium handheld phone or the new Iridium GO! and required external antenna, or possibly an Inmarsat Fleet Broadband high speed terminal. We also have the expertise and value add services to help you get the most out of your phone rental should you want to use this for email and / or weather downloads. Free tracking services included with any Iridium GO or 9575 Extreme rental! WeatherNet Race free for race participants starting May 25th. WeatherNet is a service that allows you to easily identify, access and download weather and ocean data of interest to you. 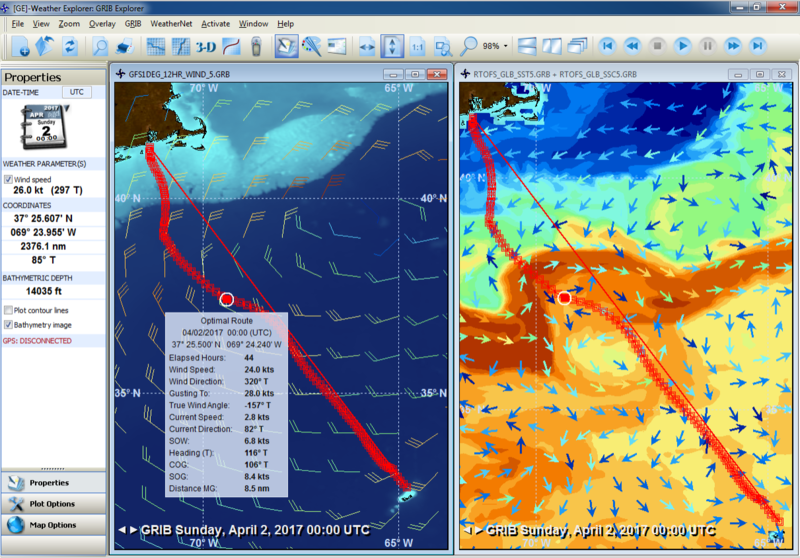 Access Gulf Stream GRIB and charts along with hourly high-res and ASCAT wind GRIB's. 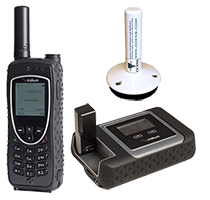 WeatherNet enables users of slower satellite phones to affordably access the same weather information that has traditionally only been available to the vessels with expensive, high speed satellite systems. The WeatherNet service uniquely levels the accessibility playing field and in doing so enhances performance, safety and enjoyment across all users regardless of their on-board satellite system. WeatherNet also come with OCENS OneMessage bundled in! 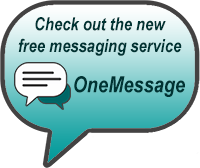 With OneMessage text messaging, you can maintain secure, reliable contact with friends, family or fleet members and managers, and you can save time and per- minute satellite charges by texting multiple people at once through public and private groups. 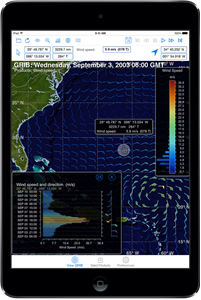 Unleash the power of GRIB weather data with OCENS easy-to-use GRIB viewer. Complete email solutions for satellite phone users. Great for the trip back! Special note regarding using data services over satellite - it is imparitive that you are using a Sidekick Wi-Fi / Firewall device with your satellite phone. This device greatly simplifies the setup and and operation of your equipment and software as well as provides optimum data dransfer rates. With out this device data calls will be bogged down by background networking services that run on your system. Sidekick devices area available with rental packages and are available for purchase to add in to your existing system.